The earliest known owners of this house were Phillip G. & Alice Hilditch in 1928; he was a secretary for the Retail Lumberman's Credit Association. The home was owned by Lora P. Joslin, a widow, in 1938. In 1948, the owners were Purchasing Agent C. Warren & Barbara Anderson in 1948. It was owned by Su Jan & May Lee in 1958. This two story house sits high off the street, and is surrounded by very thick foliage, largely obscuring any view of the building. However, historic photographs are available and provided some basis for analysis. It is irregular in plan, is clad with combed wood shingles and stucco veneer, and has a side gabled roof front wing, clad with asphalt shingles. 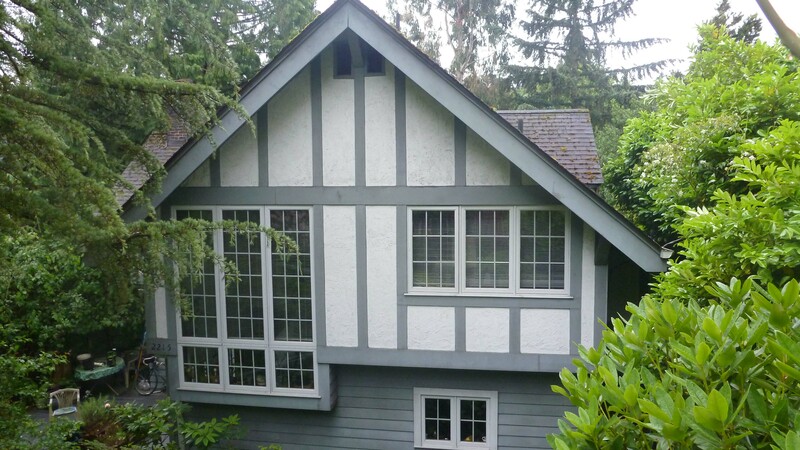 It exhibits typical Craftsman-style characteristics, including overhanging eaves and exposed kneebraces, vergeboards, and rafters. Windows appear to have been replaced with multi-light vinyl sash.